Create a fulfilling work life you truly love. - and make your desired change happen. You deserve to live a work live you truly love. Hi! 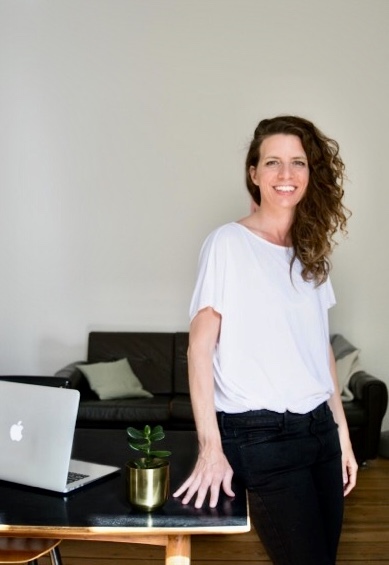 I’m Katja Navarra, a life and clarity coach for female professionals who want to be happier and more fulfilled with themselves and what they are doing. My dear, hand on heart: Are you doing what you love? Maybe you start realizing that things don’t feel right anymore. You desire a positive change in your career life. But it feels confusing or you’re currently lacking the courage and confidence to approach the change. But maybe you’re simply too unclear what you’re actually heading for or you don’t know where and how to start. And that is exactly where I can support you. After leaving my initial career at a renowned international organization in health promotion in my early 30s to go build a new one abroad in the creative field I had zero experience in before, I went through so much struggle "figuring out" my path, that I really started doubting myself, my goals and aspirations. The good thing was, that I felt forced to face my insecurities and eventually reach out for mentors that helped me gain invaluable clarity and confidence. That's when things started to shift rapidly and I consistently kept realizing my dreams and doing work I truly love. 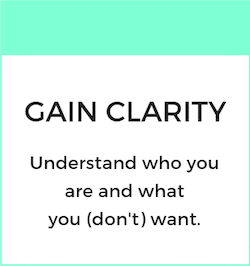 Today, I help women like you understand what it is that you really want to do with your career next and take action on your desires. So that you can live a new sense of confidence, purpose and fulfillment.